When 25-year-old job-seeker Shin Ji-min prepared to apply for a marketing job at a manufacturing company earlier this month, she was worried about her English test score and lack of experience studying overseas -- credentials often considered crucial in resumes submitted to Korean companies. “Unlike most college graduates my age, I have never been abroad to study English,” Shin, who graduated with a dual degree in political science and economics from a Seoul-based university, told The Korea Herald. But her concern turned out to be irrelevant. When she filled in the resume form provided by the company, she was surprised to find that there was no need to write in a TOEIC score or any experience in overseas studies. Instead, the company asked for details about any internship at marketing firms. Shin’s experience reflects a shifting trend in Korea’s job market. More companies now require candidates to inform them of job-related experiences rather than information such as English proficiency that was previously considered important. 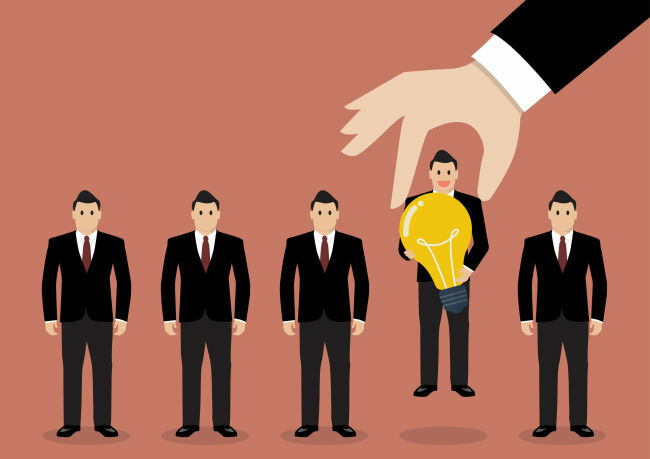 According to a survey of 518 companies’ hiring managers conducted by the Ministry of Employment and Labor and Korea Chamber of Commerce and Industry from June 14 to July 6, job-related abilities topped requirement categories, with about 55 percent of respondents picking it as the most important credential. Academic credentials took second place, with 34.8 percent choosing it as crucial, while internship experience was third at 28 percent, the report said. Only 11.2 and 3.1 percent of respondents said they valued overseas experience and the TOEIC score, respectively. The findings were also reflected in the hiring process of some Korea’s conglomerates. Since the first half of 2015, SK Group has not required job-seekers to describe “unrelated credentials” such as the TOEIC score and overseas studies experience. LG group has done the same thing since the second half of 2014. Private information was not required in resumes as well, the survey showed. The proportion of companies requiring blood type and height (or weight) information was 10.3 percent and 9.1 percent, respectively. In 2015, 20.5 percent needed blood type information and 24.5 percent asked for applicant’s height or weight. “I think it is a big change in the way Korean companies hire their employee,” said Uh Soo-bong, a professor at Korea University of Technology and Education, who also serves as the president of KOREA TECH graduate school’s hiring research department. But the survey also highlighted that the bigger the companies, the more diverse their resume requirements. Among companies with more than 1,000 employees, about 85 percent requested for GPA scores, while 77 percent asked about foreign language test scores and 50 percent asked about awards. On the other hand, among companies with less than 300 employees, the proportion of those that asked about GPA, language scores and awards were 54 percent, 43 percent and 28 percent respectively. Lee Keun-hwa, a 27-year-old with a bachelor’s degree in management, said that the new hiring process could also push job-seekers to fill their resume with “flamboyant but irrelevant experiences” such as a hiking experience in the Himalayas or even running fake startup companies. Professor Uh said there was a need for job recruitment to be more in sync with the actual line of work. “Most conglomerates still require job-seekers to have experience that might have nothing to do with what they would actually be doing at companies. We need to find a way to ensure better fairness in the hiring process,” he said.